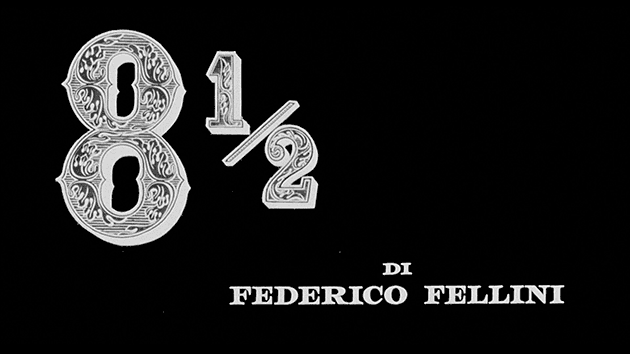 "Opening the film is a title card introducing the producer, the title of the film, and the film's director. That cuts to a tracking shot of a car in traffic, and then another cut to a shot from above the cars to show the congestion (this shot tracks them from right to left). At the end of that shot, there is a cut to the back of the main character, Guido's, head. The camera then moves to the left and shows the two people in the car sitting next to him. 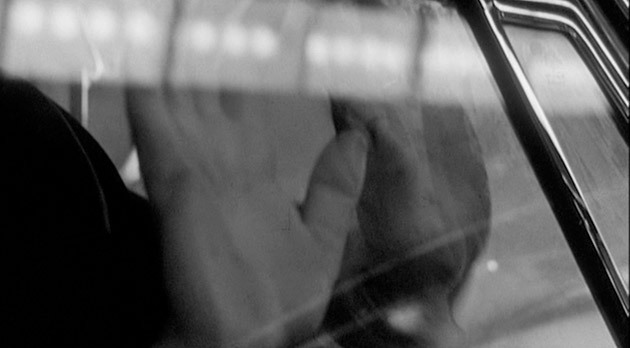 The camera comes back to Guido in his own car as he begins wiping the inside of his windshield. Smoke begins to fill the car. Guido plays with the buttons in the car and desperately tries to escape. 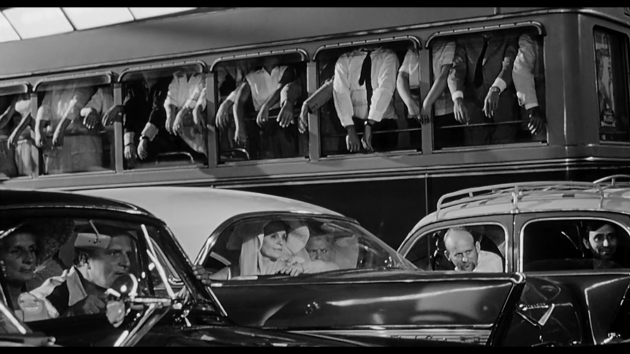 There is another cut to a shot of people hanging out of a bus and people stuck in their cars. They seem to be frozen in time. 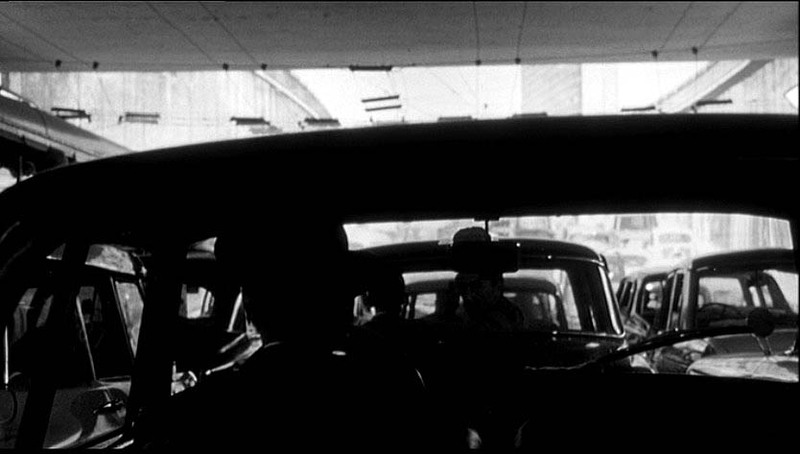 The film then cuts to another shot, this time from outside the car, of Guido trying to get out. The camera pans to a man who is staring at Guido from another car. After we see Guido pounding at the window, the shot cuts to a man touching a woman's arm in another car. 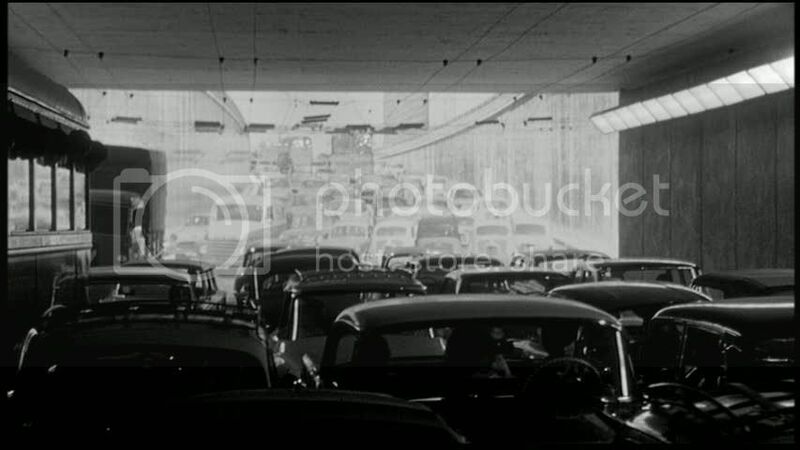 The camera then pans to more cars waiting in traffic and then finally comes back upon Guido's smoke–filled car. The shot then cuts to Guido finally making it out of the car through the window. He climbs atop the car. Then the shot cuts to another shot of a man in a different car watching him intently. The camera zooms out and we see the bus and then Guido somehow floating atop the cars, out of the traffic. 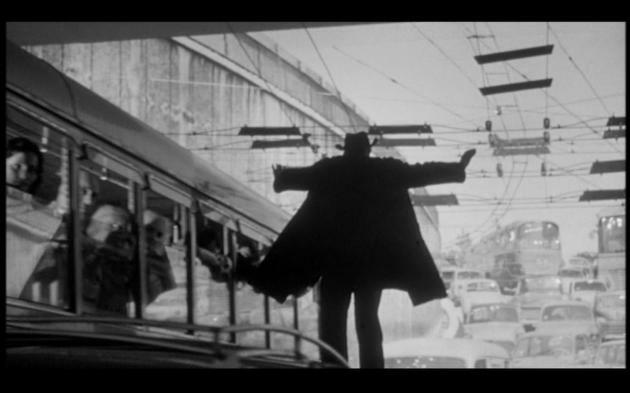 The shot then cuts to his legs and tilts upwards to show his entire backside, his coat waving the wind, and him slowly raising his arms towards the sky. Then there is a cut (fade–in) to Guido flying through the sky, then another to just the clouds. As the camera glides through the clouds, it is ambiguous of whether there is another cut or if the camera just happens upon a structure of some sort. Then there is a solid cut to a man atop a horse that is galloping on a beach. We see a man in a white shirt tugging a rope. The shot then cuts to another shot of a leg with a rope wrapped around it, and we can see the man in the white shirt and the man on the horse on the ground in the background. 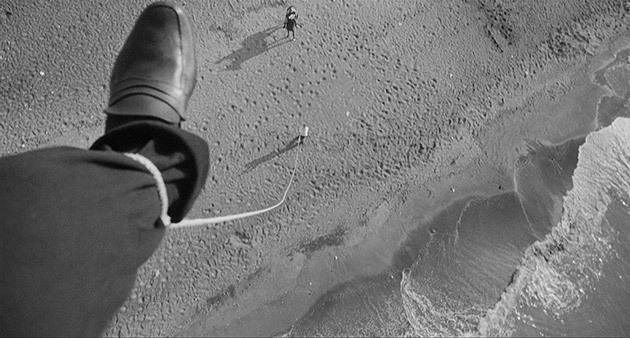 The scene then cuts again to the man in the white shirt running around the beach tugging on the rope, and then again to the foot with the rope (which the man is trying to get off). 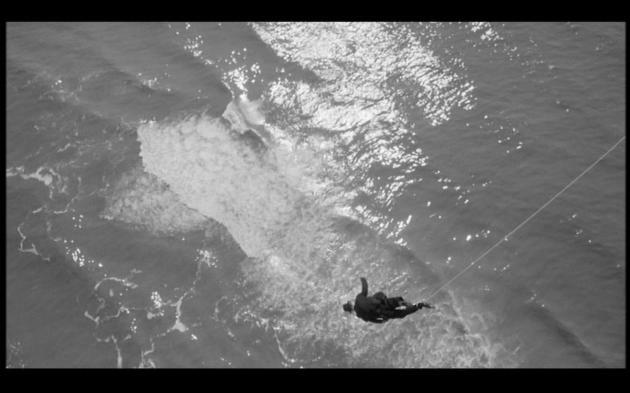 The sequence then cuts again to the man who was on the horse holding papers, then to the body of the man whose foot was tied to the rope being tugged down and falling into the ocean."